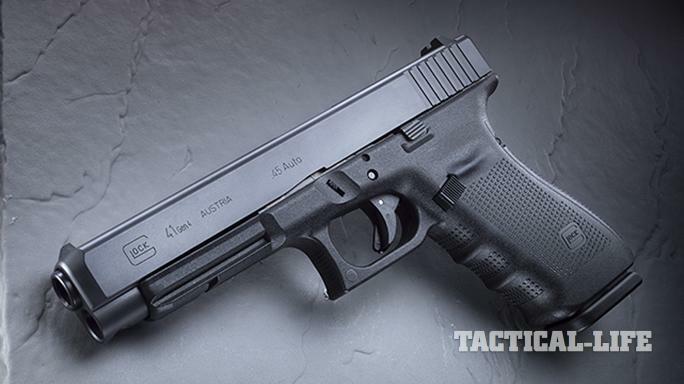 Glock's G41 Gen4 in .45 ACP is perfectly long, strong, reliable and versatile. 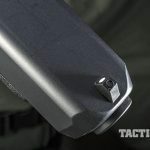 The G41 features Glock’s recoil-absorbing Gen4 frame, which allows users to install backstraps as needed and customize the grip for a perfect fit. 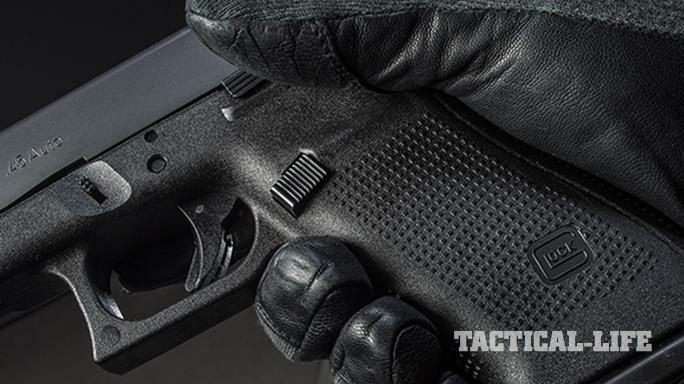 The G41’s long slide offers a long sight radius, which translates to enhanced precision. Note the Safe Action trigger and enlarged triggerguard, which accommodates glove use. The fixed front sight features a white dot that is easy to see for quick target acquisitions. 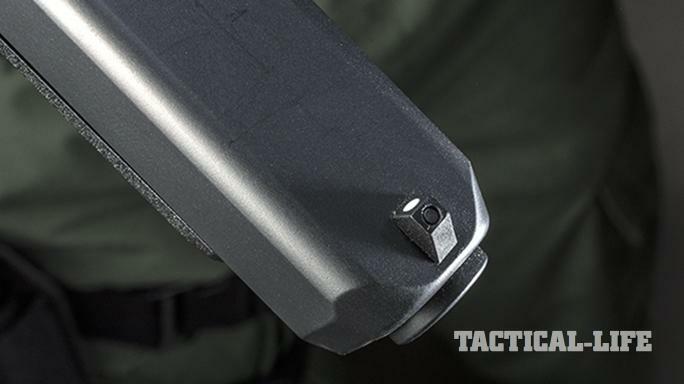 The G41 Gen4 comes equipped with an adjustable, white-outlined rear sight. 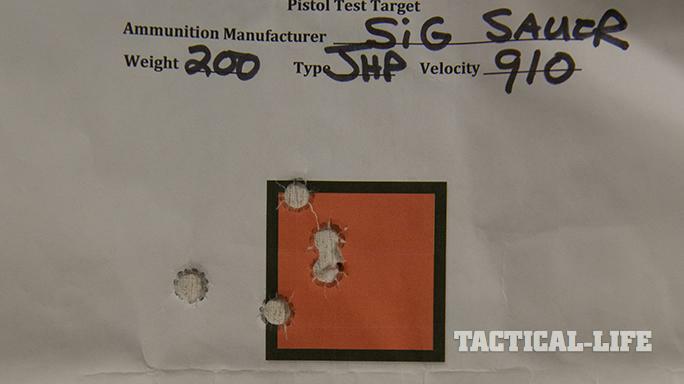 Most of the test groups measured around 2 inches at 25 yards. 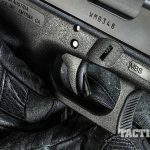 Glock fans have been clamoring for a .45 ACP version of the “Practical/Tactical” series for years, almost since the G35’s introduction. 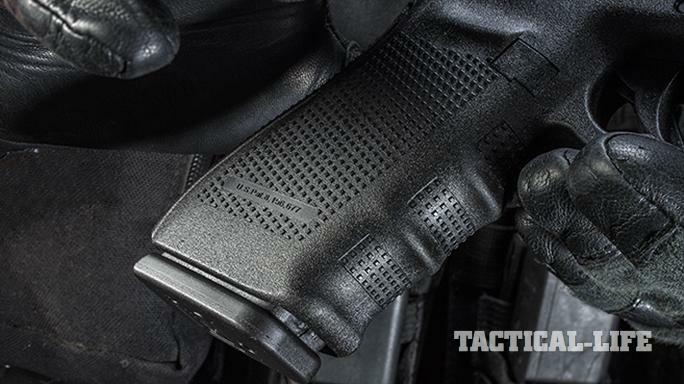 Glock’s introduction of the G41 Gen4 provides one of the best pistols possible for tactical teams, specialty units or officers used to carrying full-sized pistols. As a longtime Glock 20 user, the G20 is my favorite Glock. My large hands, often referred to as “bear paws,” make shooting many medium-sized pistols uncomfortable. While the size of the G20 and G21 were problematic for some, they are perfect for me. Both versions were soft shooters by comparison, though they were just a bit wide for concealed carry. Since most officers often carry one gun for both duty and off-duty use, that limited its appeal. Using the G41 Gen4, however, adds a new option for dealing with most of those issues. The G41 Gen4 uses the G21 Gen4’s proven grip frame, interchangeable backstraps and reversible magazine catch. But the similarities with the G21 end there, as the G41 Gen4 enjoys an entirely new slide and barrel. The slide dimensions are remarkably similar to those of the G34 and G35 pistols, minus the cut in the top. The gun has also been lightened, and the new dual recoil spring assembly has been installed. 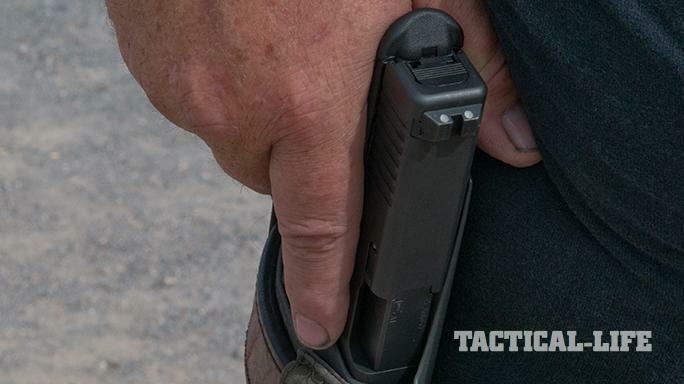 The G41 Gen4 features a 5.31-inch barrel, and its magazine holds 13 rounds. 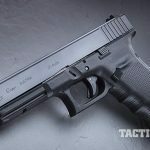 This configuration, compared to the G21 Gen4, will be easy to transition to, and it offers softer recoil with no loss in capacity and little change in overall weight. Glock night sights were provided since most agencies require them. 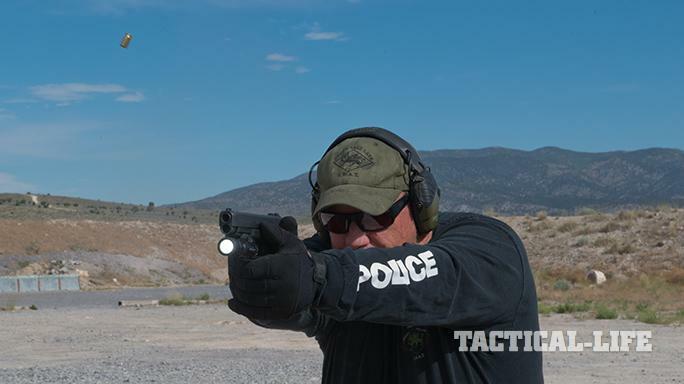 With the vast majority of officers using one pistol for both on- and off-duty use, it was tested for both conditions. 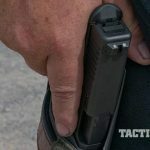 Having carried a full-sized pistol for decades, I placed the G41 in an inside-the-waistband (IWB) holster and used it as my primary carry pistol. 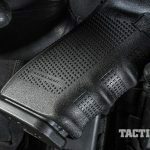 I used one of my proven Kydex holsters originally fitted for a G17. It fit perfectly, with the nose of the slide extending just a bit. This had no adverse effect on my draws or presentation over several hundred applications during dry and live fire. If you also carry a G21, the pistol magazines are the same. My tactical pouches are a bit more universal, and there was no need to change those on my vest or tactical belt. For me, all of my G34/ G35 gear fit perfectly, so there was no need to change anything for the G41. At the range, it became apparent that the G41 Gen4 is one of the softest-shooting .45 ACP pistols on the market today. Everyone who used the pistol said something close to, “It sure is a soft shooter for a .45 ACP.” While my G20 and G21 are not all that snappy, this G41 is noticeably softer. Shooting it side by side with a friend’s G35, it was difficult to tell the difference. In fact, most seemed to think the G41 was easier to shoot. The pistol’s beavertail did not affect my ability to get a solid grip either, with or without gloves. It actually locked into place very well. This is a large-framed pistol, so those with small hands may still have issues, but for me it was about perfect. The pistol’s accuracy was great, with my best group measuring 1.70 inches at 25 yards. Everything grouped around 2 inches at 25 yards. I also tested the pistol at some longer ranges. Shooting at 50 yards on steel, it was very consistent, holding at the top of the steel for center-mass hits. While attending a media event, I engaged steel targets as far away as 165 yards with success. 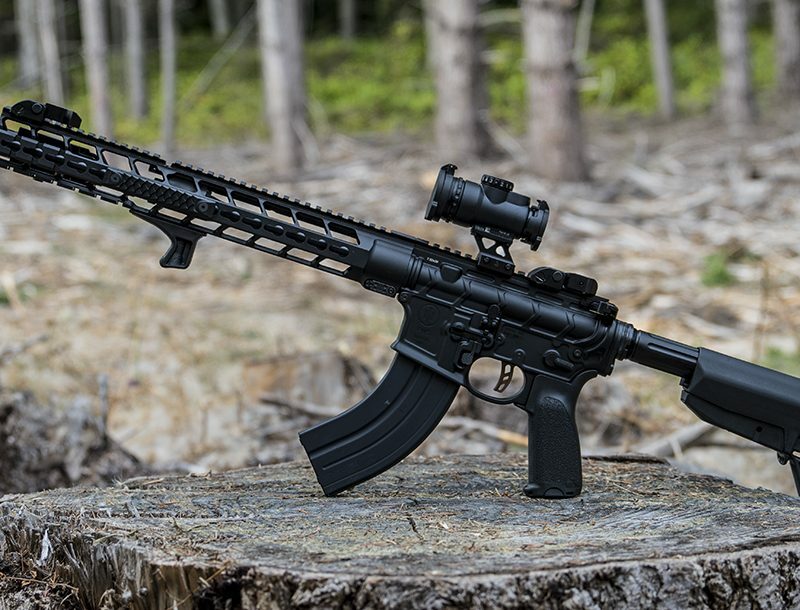 The pistol’s slightly longer sight radius, as well as its minimal recoil, certainly helps. The provided sights impacted about 4 inches low on a 25-yard hold with Federal’s 230-grain American Eagle practice ammunition. 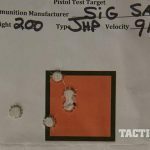 Most of the higher-velocity ammunition using 200-grain bullets dropped a bit less, but it was about the norm for a .45 ACP pistol. 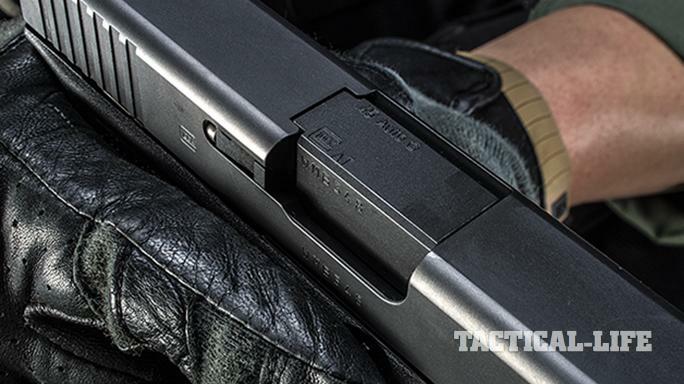 During tactical testing, the G41 Gen4 really shined. 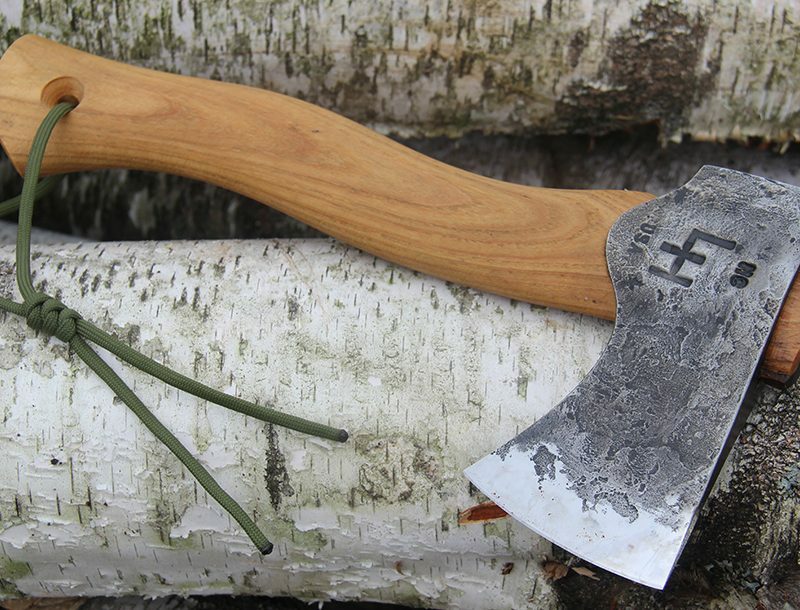 As a secondary weapon, it will often be used single-handed. It was pretty easy to remain accurate while shooting in this way, and the G41 was controllable. Whether used on my belt rig or tactical vest, it was smooth to draw, easy to grip and fast on target. Its accuracy at more practical distances was excellent whether I was stationary or on the move. Magazine changes are quick, and the Gen4’s elongated mag catch allowed me to drop magazines without shifting my grip. Two magazines were provided for testing, but I also used several from my long-held inventory, and all dropped free without issue. Even when performing unconventional reloads, the G41 Gen4 was smooth. The supplied rear sight has a nice ledge for expedient field reloads and one-handed malfunction clearances. It performed every conceivable task as a tactical pistol with great effectiveness. There were zero malfunctions over the course of several range sessions. Carrying the G41 Gen4 as an off-duty pistol was quite comfortable. I carry a full-sized, steel 1911 daily, and the Glock was a pleasant change. The barrel length was the same and the weight was actually a bit less with six extra rounds. 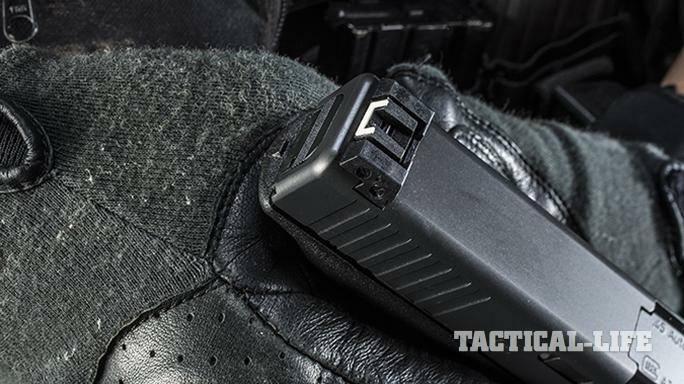 I carried the G41 Gen4 in an IWB holster throughout the testing. 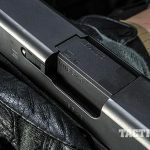 The pistol’s slimmer slide certainly helps for concealment, when compared to the G21 or G20 models. It does not seem like much until you carry it for a couple days. Having carried all three on and off for several years, I noticed the difference. The G41 fit in all of my G17 holsters with open bottoms. 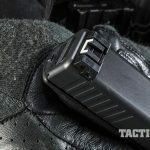 Most Kydex holsters designed for use with a G34 or G35 should fit. Leather holsters should yield the same results. The G41 Gen4 really provides all the advantages of the G34 and G35 pistols with the ballistics of the .45 ACP. The G41 is actually 0.17 ounces lighter than the G35, while its capacity in .45 ACP is only two fewer rounds, at 13. Recoil is always subjective, but to me the G41 Gen4 is more controllable. In general, .45 ACP recoil is different than .40 or even stout 9mm rounds. It is more of a push than a snap, but the dual recoil spring assembly in the G41 Gen4 even softens that up. 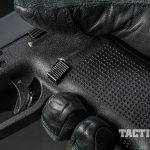 So long as the larger grip size does not present issues with any individual operator, it may end up being easier to shoot accurately. 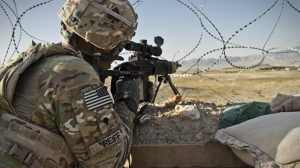 My highest single-day round count was 400 rounds, and I felt no soreness in my elbows when I was done. 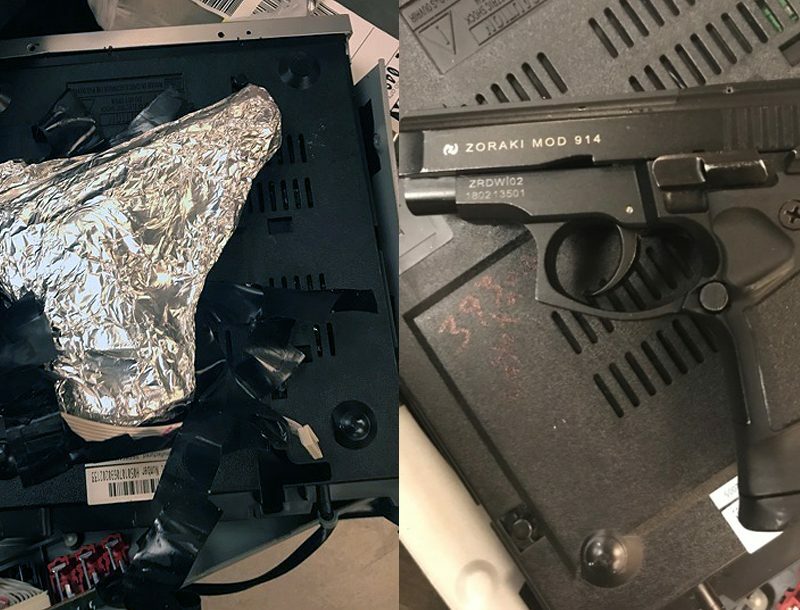 That’s not something you find with most .45 ACP pistols. Most of the time these days I complete high-round-count schools and training with 9mm pistols. I would not hesitate a second to take this G41 Gen4 to similar schools. So, is the difference noticeable? It certainly was for me, a longtime G20 and G21 user. Its accuracy is excellent, its recoil is minimal, its capacity is more than adequate and its reliability is superb. I am not sure full-sized pistols get much better, especially those issued to officers. 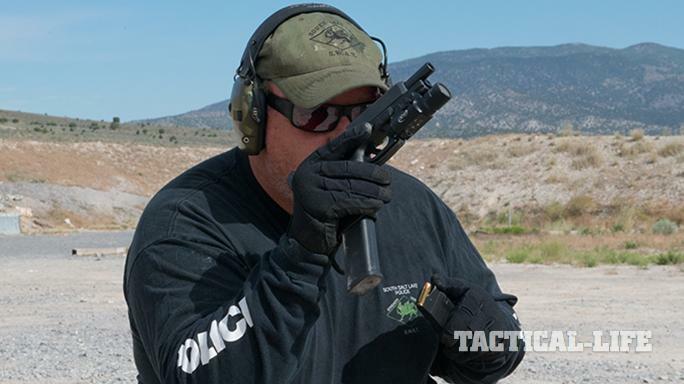 For those involved in pistol competitions, it may prove even better. 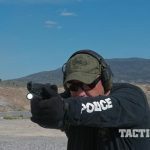 Loaded with lower-velocity rounds, the G41 Gen4 was as soft to shoot as any of my 9mm pistols while still “making major.” For those officers wishing to compete in practical shooting events, you could go right from the cruiser to the field of play with no loss in effectiveness or competitiveness. The Glock 41 Gen4 in .45 ACP is pretty versatile. 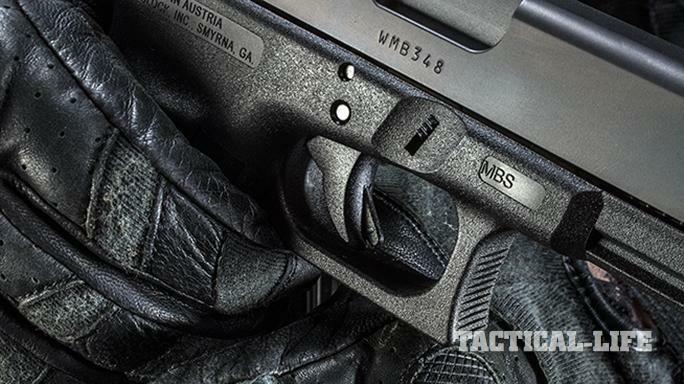 It’s a great gun for both on- and off-duty carry as well as competition. If you are looking for a single pistol that covers a broad range of uses, then take a good look at the Glock 41 Gen4. For more information, visit glock.com or call 770-432-1202. 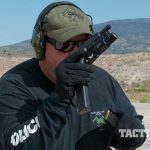 This article was originally published in “Combat Handguns” August 2016. To subscribe to that magazine, visit outdoorgroupstore.com.